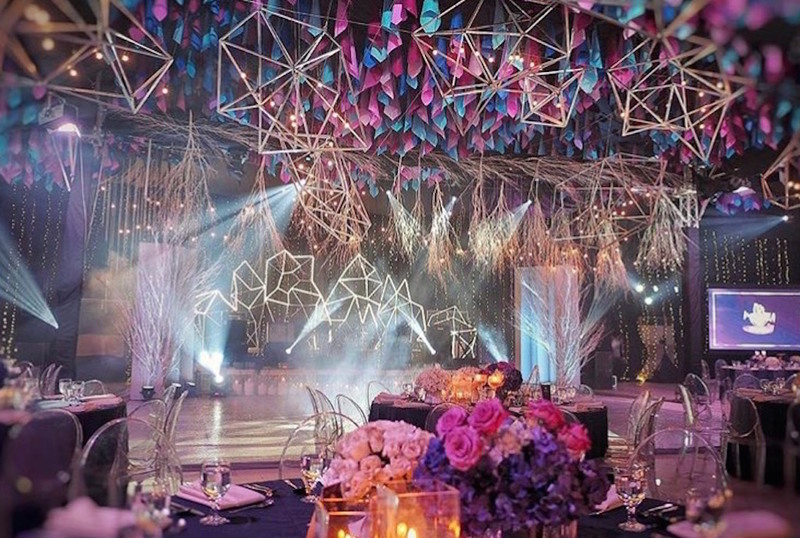 Geometric weddings have been all the rage in the past few years. 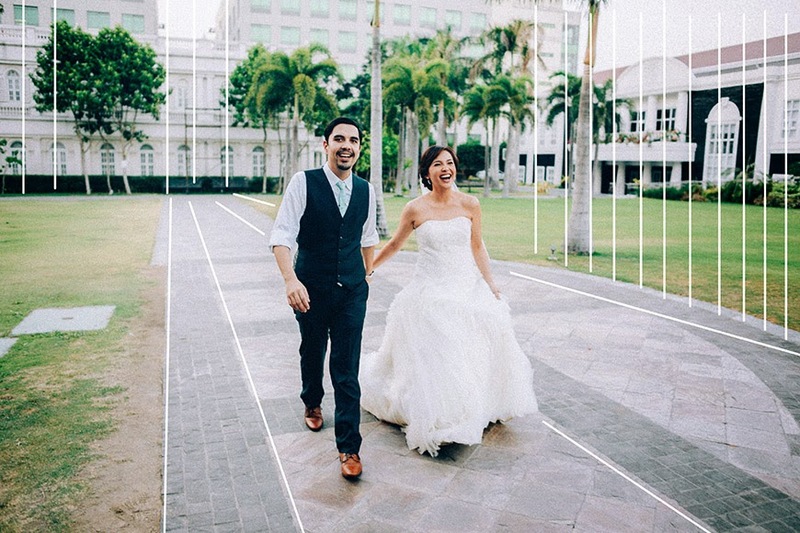 It is the perfect aesthetic for couples who prefer a more modern and contemporary design. 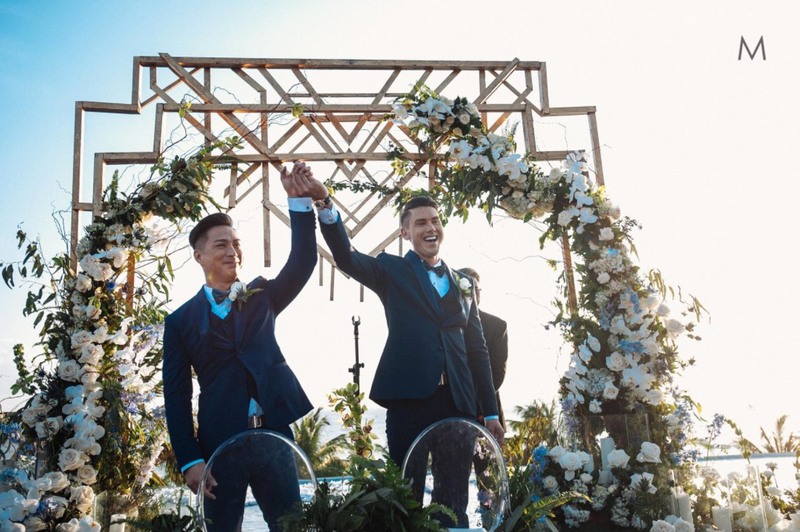 Symmetry, interesting shapes, and clean lines are fun to add in a wedding because it creates some sort of balance between feminine and masculine details. 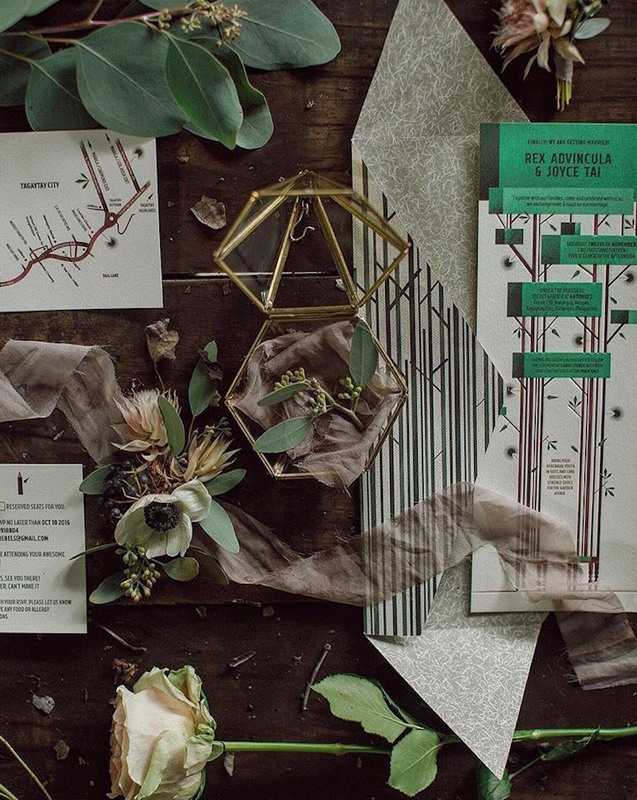 And this being a popular theme, Pinterest-worthy pegs are already looking the same. 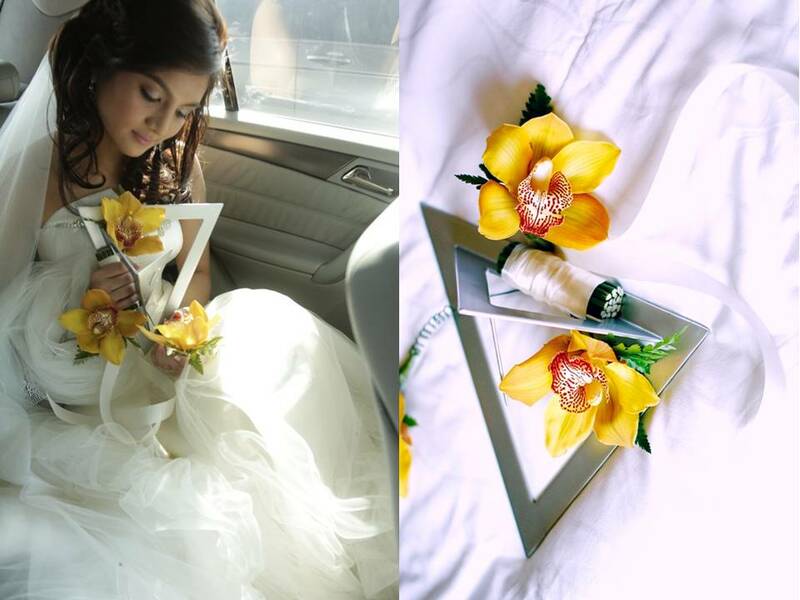 How many times have you seen a geometric-shaped jewelry box with flowers inside it? 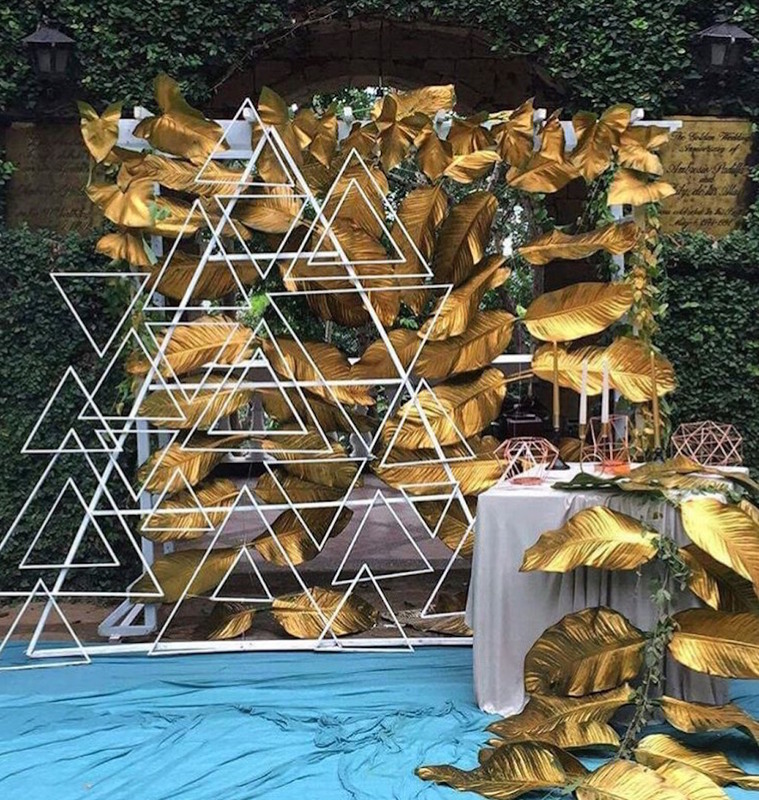 Here are 15 unique ways to incorporate the geometric feel in your wedding in more ways than one. 1. 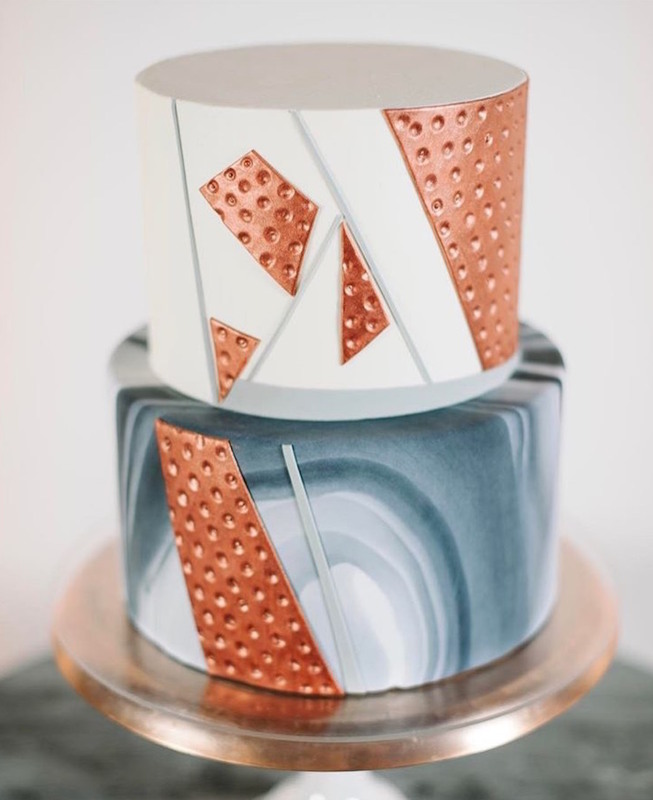 This invitation suite from www.minted.com has a textured 3-D feel and uses bold colors that aren't typically used in a wedding invite. 6. 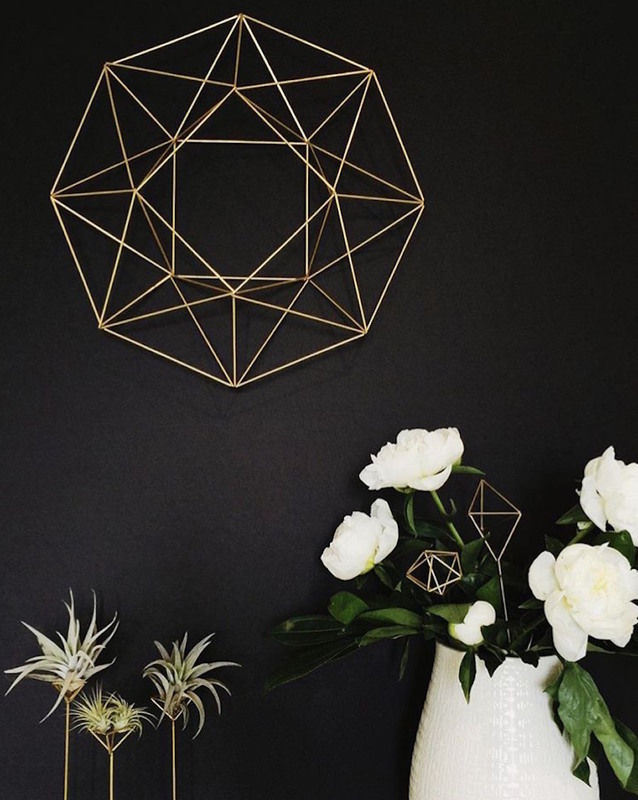 Remember the "typical geometric jewelry box with flowers" remark that we said earlier? 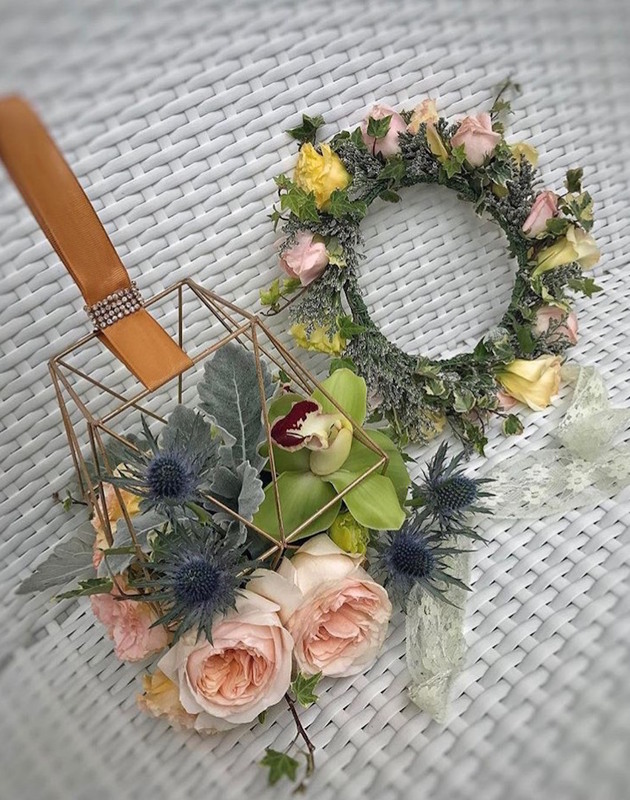 Well stylist Gideon Hermosa (@gideonhermosa) re-invented the concept and made it into a flower bouquet bag with a ribbon handle for the wrist. 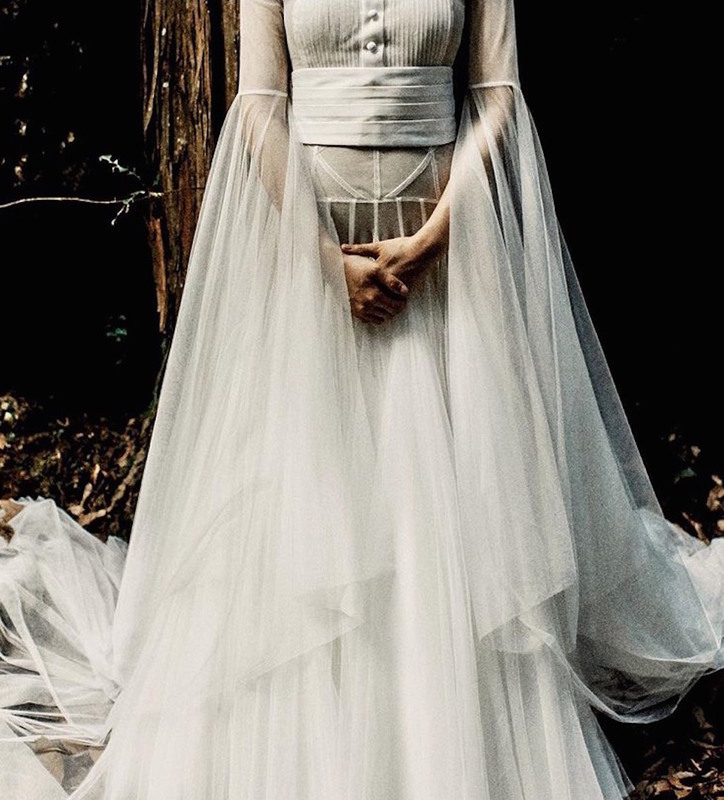 7, Team Mangored (mangored_studios) photographed this gorgeous gown with the most interesting details we've ever seen! 9. 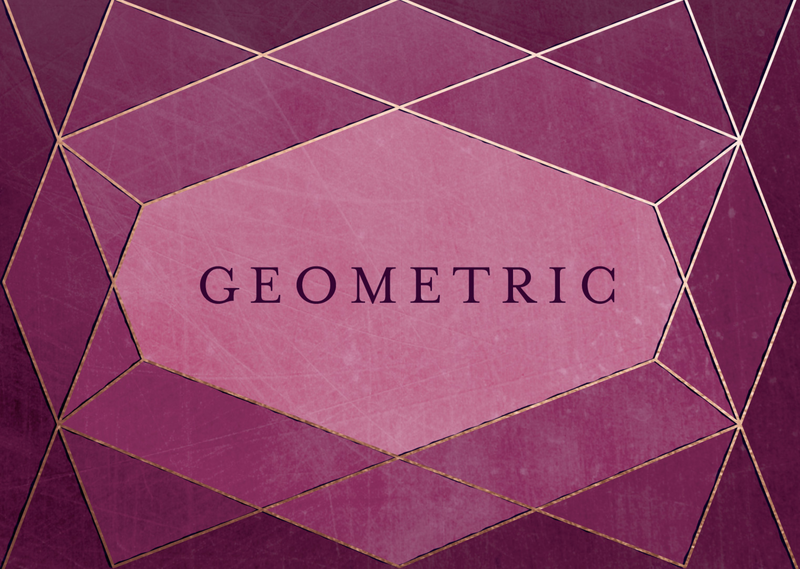 Gideon Hermosa (@gideonhermosa) veered away from the usual minimalistic appeal of a geometric theme and created drama and volume with it instead! 11. 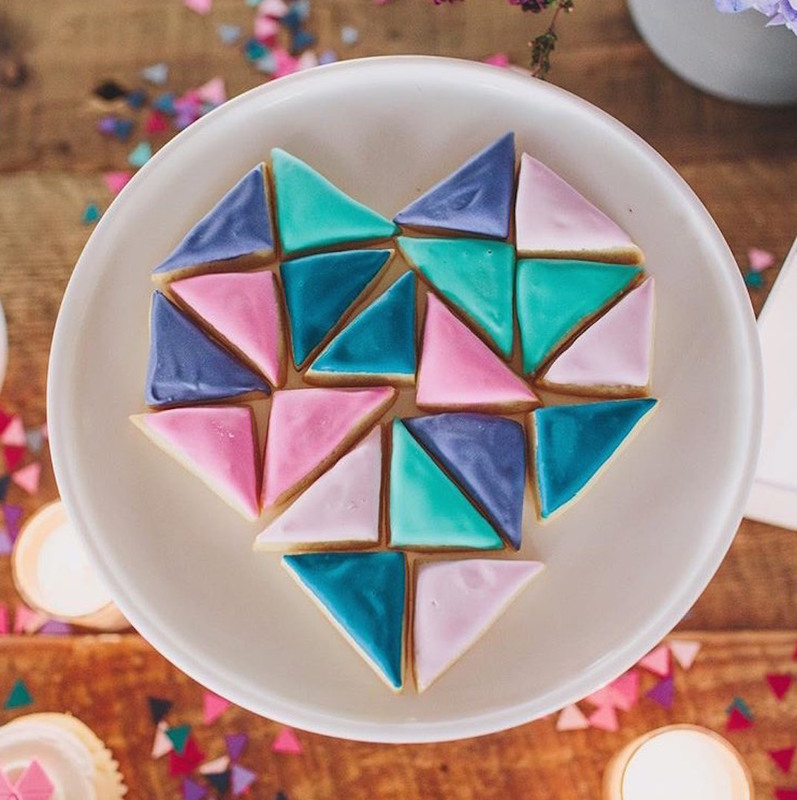 Whipped Bakeshop (@whippedbakeshop) created these fun and colorful geometric cookies that can form different shapes. 13. 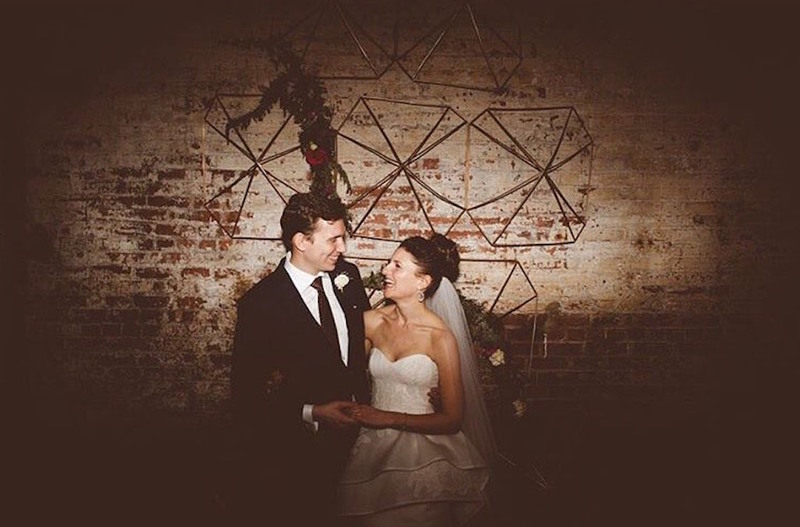 And during their wedding, Nikki opted for this truly one-of-a-kind geometric triangle bouquet! 14. 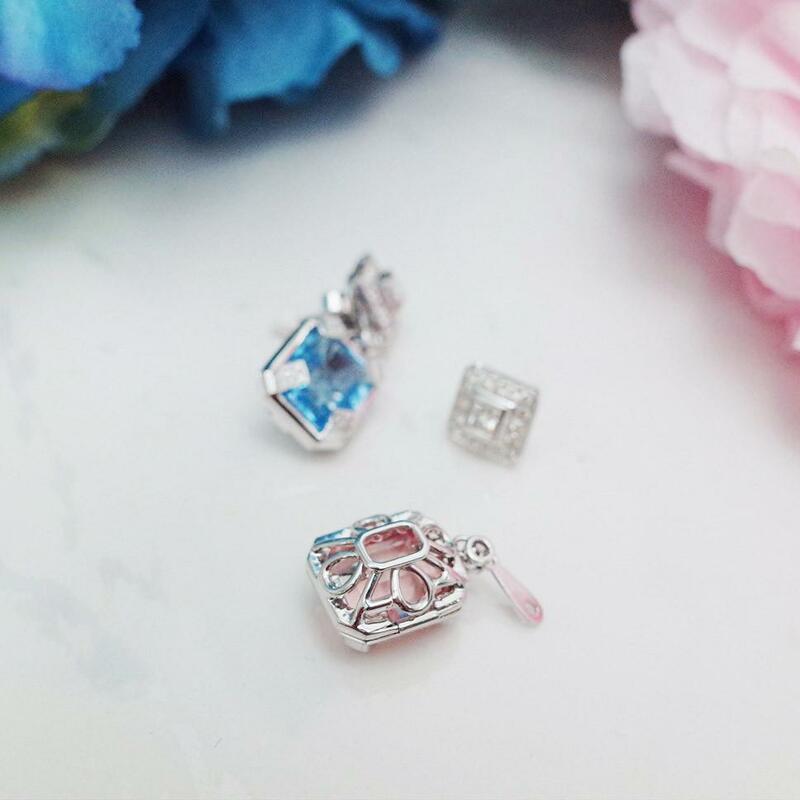 Jeweler Atelier 818 (@atelier818jewelry) created this functional white gold earrings with geomtric designs decked with diamonds and interchangeable gems.